The following map dates back to the time of Shakespeare's London. 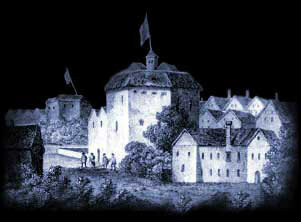 Elizabethan Theatres in London were a booming business with considerable profits to be made. This map of the Elizabethan Theatres in London allows the viewer to gain a good insight to the location of the famous theatres and their location to each other. Interesting Facts and information about the development of the Elizabethan Theatre and the Elizabethan theatres in London. Additional details, facts and information about the Elizabethan Theatre can be accessed via the Globe Theatre Sitemap.